Bishop L. Jonathan Holston became resident bishop of the South Carolina Annual Conference on Sept. 1, 2012. The most favored episcopacy candidate in the elections at the 2012 Southeastern Jurisdictional Conference, he was overwhelmingly elected on the first ballot. He was reassigned for a second quadrennium in 2016. Bishop Holston is married to the former Felecia Brown. He and Felecia have two grown children: son Karlton and daughter Brittany. Bishop Holston earned his master of divinity in biblical studies from the Interdenominational Theological Center at Gammon Theological Seminary in Atlanta, Ga., in 1983. 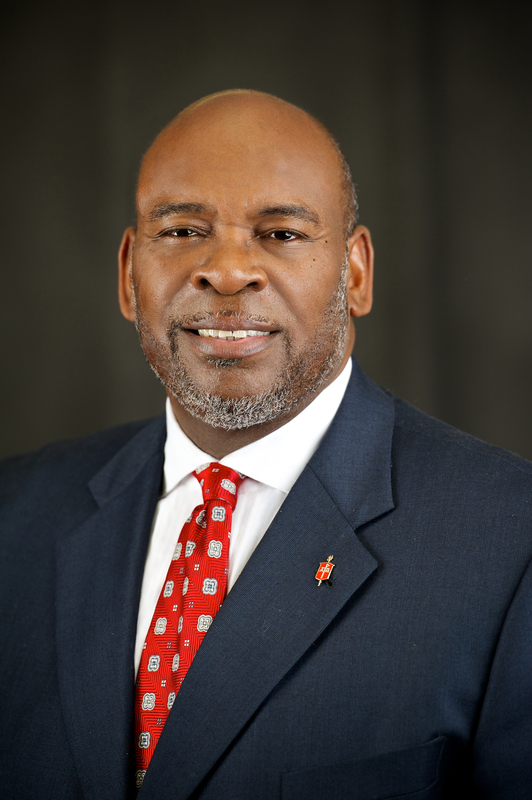 He also holds a bachelor of arts in religion from the University of Georgia in Athens, Ga.
Coming to South Carolina from the North Georgia Conference, Bishop Holston served as senior pastor of St. James United Methodist Church in Atlanta for seven years before his episcopal election. Prior to that, he served as superintendent of the Atlanta-Decatur-Oxford District from 1997 to 2005. He has traveled extensively as a specialist in missions to Uganda, Costa Rica, Haiti, Honduras, Zimbabwe, Kenya, India, China and Hong Kong. Bishop Holston was a delegate to General Conference in 2000, 2004, 2008, 2012 and 2016. He served as a delegate to Jurisdictional Conference in 1996, 2000, 2004, 2008, 2012 and 2016. In 2001 and 2005, he was a delegate to the World Methodist Conference.